Will Ontario University Professors be Next to Strike? University of Ottawa part-time professors will be in legal position to strike as of Monday, October 30th. This comes after an overwhelming majority of part-time professors voted in favour of a strike mandate, according to the Association of Part-Time Professors (APTP). The APTP and UofO have been in contract negotiations for 14 months, according to Shawn Philip Hunsdale, Director of Communications at the APTP. Hunsdale said that the negotiations are taking place around salary and job security for part-time professors. 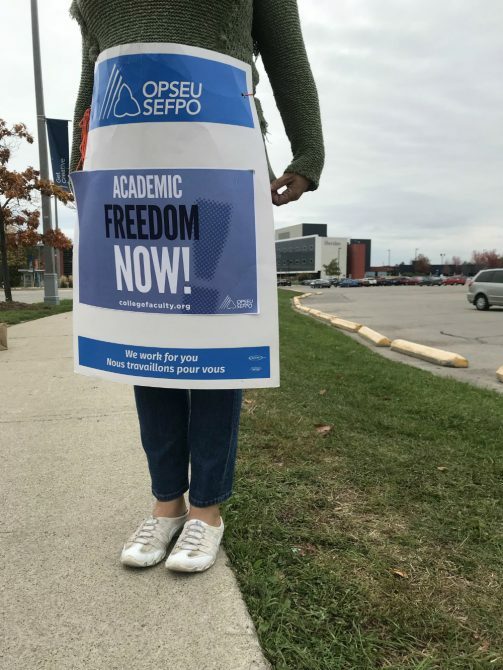 This is similar to the situation that prompted more than 12,000 faculty at 24 Ontario colleges to start strike action last Monday. The strike affects more than 500,000 students, according to CBC. The negotiations are taking place between the College Employers Council (CEC) and the Ontario Public Services Employees Union (OPSEU), the union representing the teachers. Full details of the strike and the demands of the OPSEU can be found here. According to the OPSEU, the current ratio of full time to part time teachers at Ontario colleges is one to three. “The balance between full-time and part-time has shifted substantially over my time. Now the number of full time faculty is going down, the number of students is going way up. The number of programs is up. And where that slack is being made up is part timers,” said McKercher. McKercher said that there are advantages to part-time and contract staff. Most still work in the industry and bring current skills and practices. “To me, it’s not an ‘us vs. them’ situation, but it has to be a matter of balance,” she added. In the OPSEU’s Final Offer for Settlement, they requested that the ratio of part time to full time staff be 50:50. Part time work is defined as anywhere between 6 and 12 teaching hours a week, with pay rates ranging between $54.16 and $142.86 per hour, according to the current collective agreement. It seems like a pretty good wage. The lowest end of the pay-scale has a take home pay of less than $20,000; below the poverty line in Ontario. But, in fact, staff on the highest end of this pay scale would make only around $50,000 a year before tax. The lowest end of the pay-scale has a take home pay of less than $20,000; below the poverty line in Ontario. Contract instructors also don’t get sick days or benefits. Although she now has a full time position, a professor at Sheridan College, who wishes to remain anonymous, tells us it took several years of precarious contract work to get there. Professors have said it takes a toll—never knowing where the next paycheque will come from. “When you’re worried about whether or not you’ll still have a job in a month, or you’re working two jobs, you can’t focus entirely on what you’re teaching,” said Professor Mark Komza. 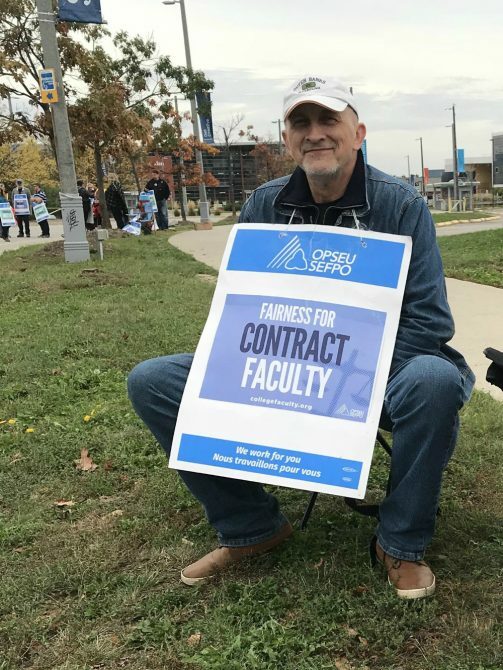 He teaches full-time at Sheridan College, but has worked as a contract professor in the past and understands the toll it can have. Brandon Amyot, a recent graduate of George Brown college, said that most of their teachers were part-time and that many had to work additional jobs to help make ends meet. “They were there because they wanted to be there, not for the money,” said Amyot. In addition, the OPSEU is calling for increases in support staff, such as counsellors and librarians, for students. Another chip on the bargaining table is academic freedom for professors and instructors at colleges. The precarious employment of contract staff does not limit itself to colleges. The Canadian Association of University Teachers (CAUT) reported that nearly half of all Canadian undergraduate students are taught by contract professors. A contract professor makes, on average, one third less than a full-time professor teaching the same course. Contract and part-time professors do not earn as much as their full-time counterparts. A contract professor makes, on average, one third less than a full-time professor teaching the same course. However, different unions represent faculty at different universities. So it is up to the discretion of faculty at individual institutions whether or not strike action is necessary. Laurentian University recently went on strike for two weeks over contract negotiations. “It’s not radical what we’re asking for,” said a contract professor who asked not to be named for fear of repercussions. “It would even be nice to have an eight month contract instead of a four month one.” As a father of three, he is seeking more stability than he currently has as a contract professor. What is the impact of a strike? For students, the impact of the strike has included lost class time and cancelled convocation ceremonies, and could mean an extended school year. In the last 50 years, there have only been three strikes by college faculty: Sept 1984, Oct 1989, and March 2006. The only time the college teachers were legislated back to work was in 1984. None of the three strikes ever costed students their academic year. The CEC is calling the strike unnecessary and unfair to students. The CEC is calling the strike unnecessary and unfair to students. In a press release, the CEC called the union demands unaffordable, and said that meeting union demands would increase annual salary spending by 30%. In addition, the CEC said that 50:50 staffing ratios would cut more contract positions than it would gain full-time positions, ultimately resulting in job losses. However, professors say it is the students who are suffering when their professors have precarious employment. For some students, like Amyot, the strike means cancelled convocation ceremonies. Two Humber College students were so upset, they created an online petition, which already has 16,000 signatures from students. The campaign, #wepaytolearn aims to get back lost tuition money for the time students are not in class. McKercher feels while the students anger is understandable. There is also a lack of understanding on the position part-timers are in. “Most young Canadians don’t get labour education, so they don’t really understand what unions are, what they do and what negotiation accomplishes. It should be part of civics courses, unfortunately it’s something people don’t get a lot of. I think the students would be more understanding of the teacher’s position if they got the education,” said McKercher. Despite his frustrations Amyot said they are supportive of the teachers on strike. “I want this resolved quickly, but I want it resolved right,” added Amyot, who noted that strikes have been occurring more frequently and closer together in the last few years. Sarah Hartman, a Fanshawe marketing student, said her frustration lies with the colleges, not with the teachers or the union. Profs will be trying to cram information into a shorter time span. Hartman is also worries about the workload when classes do resume. Profs will be trying to cram information into a shorter time span. She said she is trying to get as much work done as possible but it’s difficult without staff support. Ultimately though, the strike is an ongoing and frustrating process, for staff and students alike. Pat Kennedy, president of the 415 section of OPSEU, is currently on the picket lines at Algonquin College. Around 500 part-time staff are marching. He understands the student’s frustrations, and is also feeling them. “It’s understandable the students are mad, they should be upset. The college said they would provide them a 15 week semester and they’re not doing it. They have a right to be angry. But we’ve had support from the students at the school. They’re all generally supportive of their teachers,” said Kennedy. “Equal pay for equal work with regard to full timers is a recurring issue. But it’s something we are really focusing on this time. We also want a senate for part timers. They already have it Sheridan, it costs nothing, but they don’t want to discuss it. We’ve also had retirees come and ask to get life insurance plans through the school. It’s one hundred percent paid for by the individual it doesn’t cost the university 5 cents. But that’s their attitude on it,” says Kennedy. 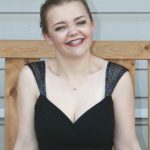 Emily is a huge theater junkie and journalism student at Carleton university. When she's not slaving over school work, she's writing, absorbed in a newspaper, or getting outdoors with her horse, her partner, or (ideally), both.